I bought Ripertoli in 1988, as the culmination of a 20-year love affair with Italy, and with Tuscany in particular. I bought it with the help of local Italian friends, and with the advantage of knowing the Chianti region well and knowing where I wanted to buy to within 10 miles. 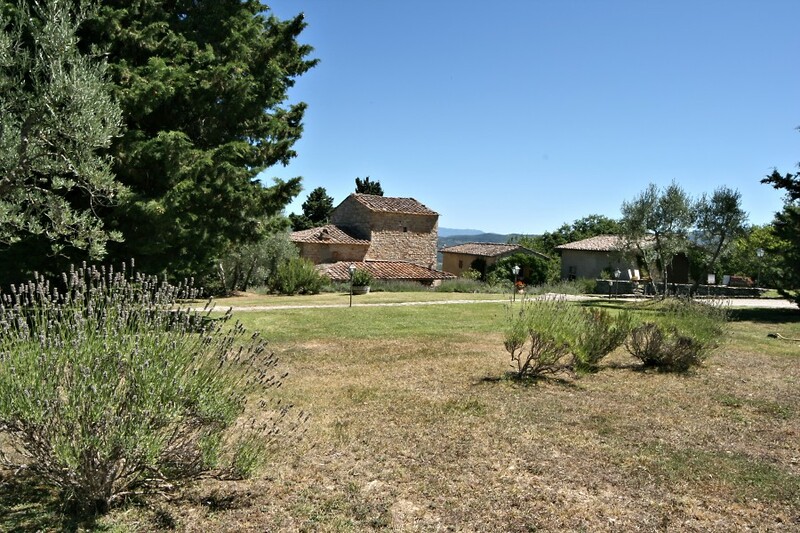 Deborah and I rent it out when we are not there because the income helps us to spend more on improving and restoring the estate, and because a family home like Ripertoli should be lived in as much as possible. 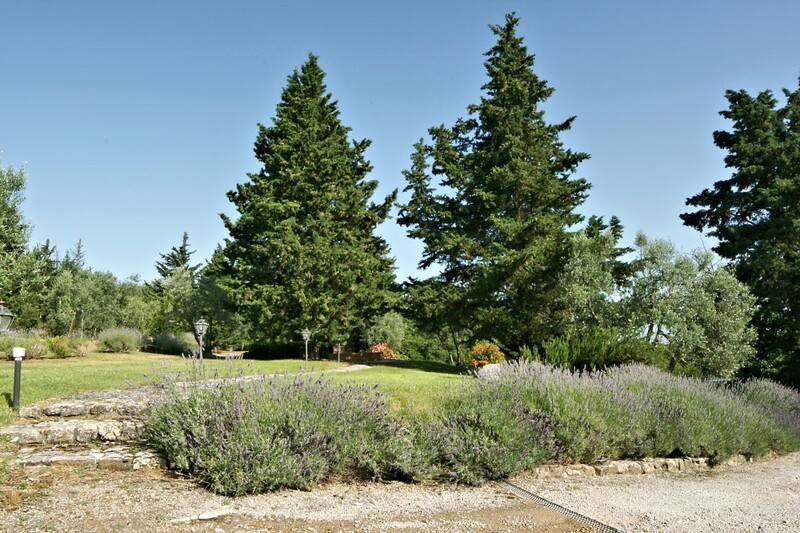 As well as the house and two capanne, there is over an acre of well-irrigated park and garden, a beautiful large swimming pool with an electrically-operated cover, several acres of well-tended olive groves (where Deborah and I pick the crop every November and make our own extra-virgin olive oil), 25 acres of woods which ensure privacy, and a marvellous family team which takes care of the Ripertoli estate as though it were their own, plus a squad of builders, plumbers, electricians, JCB-owners, stonemasons and painters, whose enthusiasm for the place rivals ours. 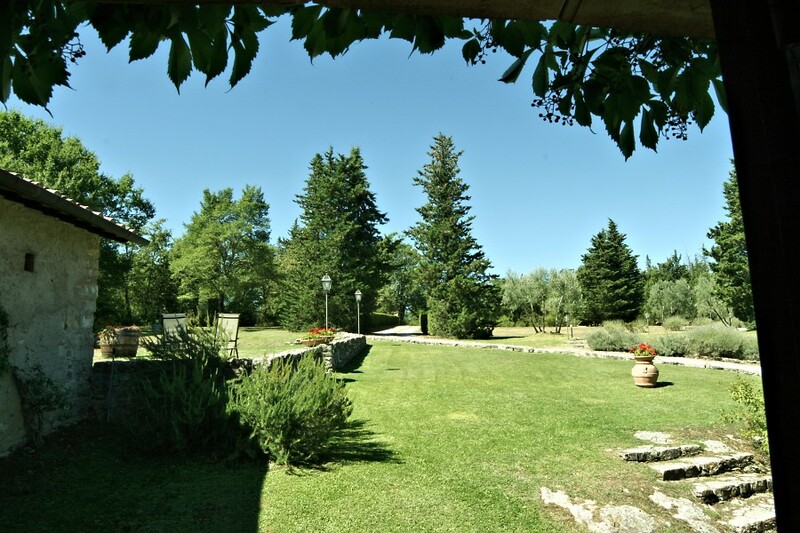 Would you enjoy a holiday at Ripertoli? 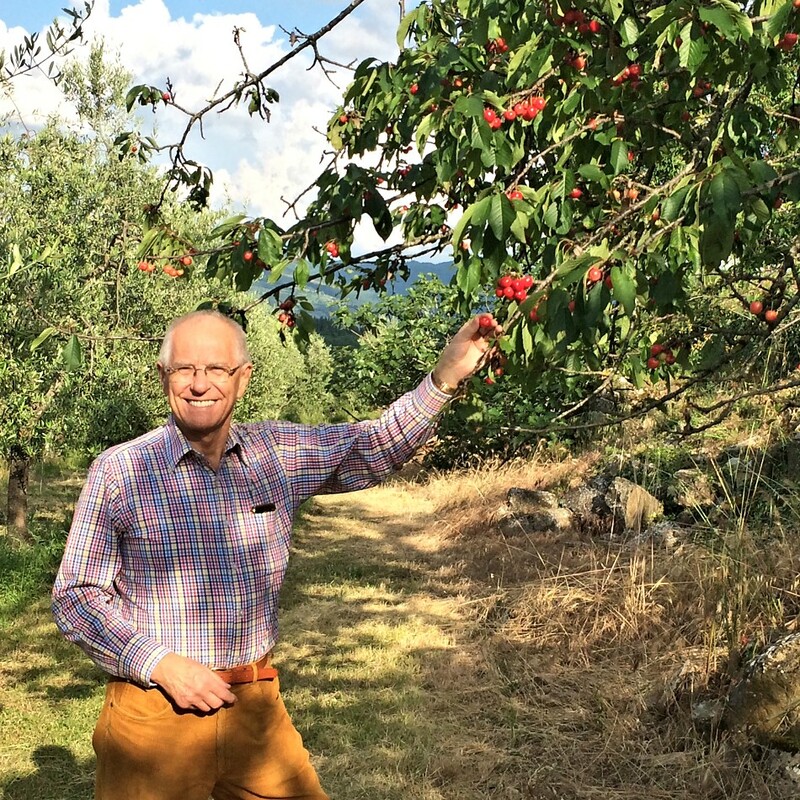 A genuine rural Italian environment, with glorious views, every home comfort that we can think of, wonderful flora and fauna, and delicious local produce and restaurants. It has enough separate buildings and open spaces for different age groups to have a perfect family holiday without falling out over taste in music or the right time to go to bed. A convenient base from which to explore Florence, Siena, Pisa, Arezzo, San Gimignano, Volterra, Montepulciano, Montalcino, and the beautiful Chianti countryside. 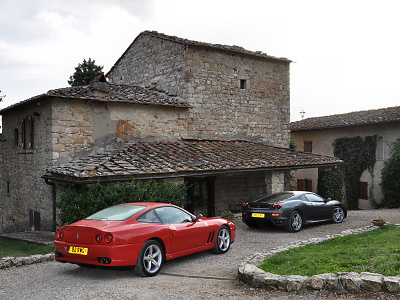 There seem to be two approaches to a stay in Ripertoli. Some people spend most of the time relaxing and reading by the pool, and shopping in Greve. Marisa often cooks for them 4 or 5 nights a week. 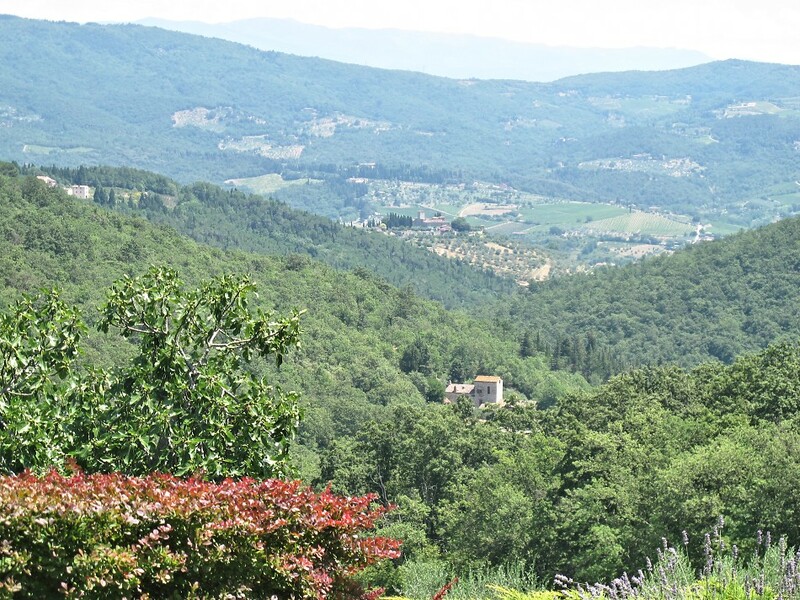 The challenge is having a car big enough to bring in adequate supplies of Chianti every day…….But they also visit Florence occasionally, often sensibly returning to Ripertoli for a late lunch and a swim, something not easily available in hot mid-afternoon Florence. 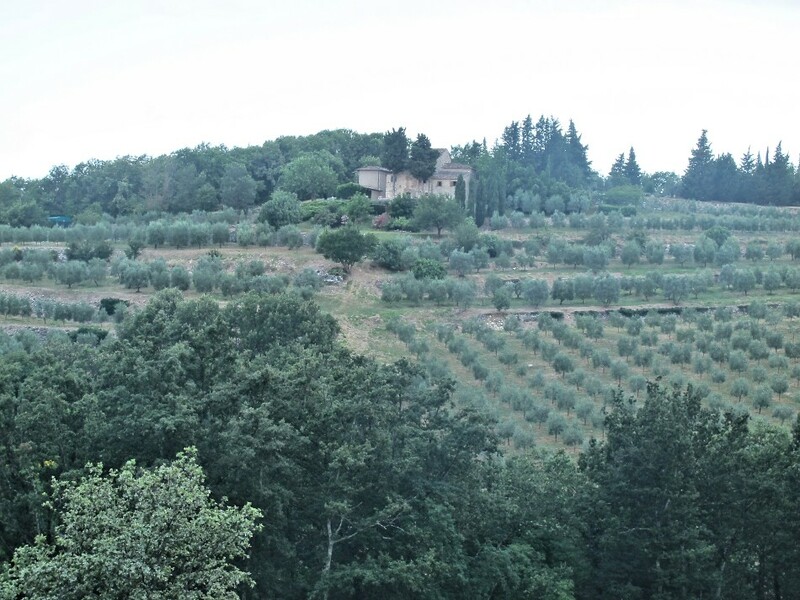 Other guests are out of the property early every morning, on their way to the Uffizi, the Accademia, Carmine, Siena, Pisa, San Sepolcro and the rest of the Piero della Francesca trail ….. until they return for supper. Le Gialle from the terrace - our nearest neighbour! If you’ve read this far, you might think Ripertoli has something for you. Golf, tennis, horse-riding, and wineries which will welcome you for a tasting are all within easy reach – as is true in many parts of the world. 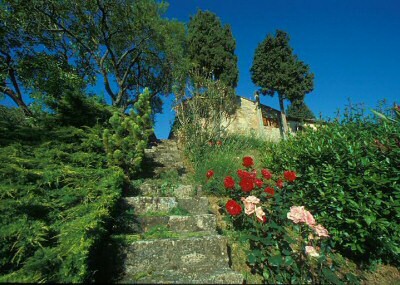 But there is something special about the Tuscan landscape which delights the eye and inculcates peace and tranquillity. If you think that might be your thing, then consider Ripertoli – even in this glorious region, it is recognised by the locals as being exceptionally beautifully situated. By the way, although I worked for IBM for 38 years I am also a professional rock/jazz musician, having led my own band The Dark Blues for 40+ years. The band came to Ripertoli in September 2005 to play 2 concerts in the public squares of Greve and Panzano….. and the Mayor asked us back to do it again for the Festa del Vino in 2006, 2008 and 2013. Ripertoli’s standing in the local community has never been higher! The view is stunning. We were actually reluctant to leave on our pre-planned visits to Rome and Venice and delighted to come home to the tranquillity of the loggia. A perfect vacation of a lifetime. 3 generations – 17 in all and everything worked at Ripertoli. From the moment we drove in Ripertoli exceeded our expectations. 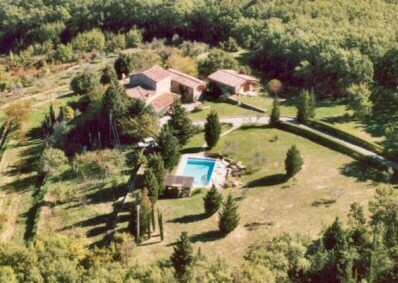 A wonderful secluded location with beautiful vistas. Rustic charm with all the modern conveniences. A home and not your typical rental property. No write up, review or photograph could have prepared us or do justice to the beauty and tranquillity of Ripertoli - we all absolutely loved it! We had a delightful 2 weeks with family (3 generations) and friends at Ripertoli to celebrate our significant birthdays. The views from the terrace are to die for – it is a really special place. To put it all into one word – the trip was simply “perfect” in every way. 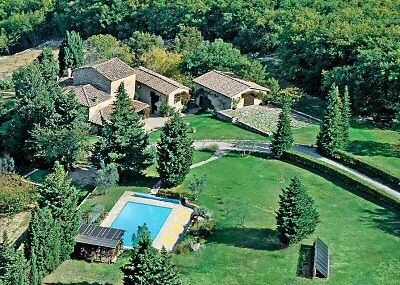 We loved Ripertoli, we loved that is retains its ancient feel and the property is simply wonderful. Executive Chair, NYJO (the National Youth Jazz Orchestra of the UK).